Climate change is an issue that affects all of us, but for residents of coastal cities such as Miami, Florida, the changing climate—which can cause stronger storms—is a topic of deep interest for both the scientific community and the public at large. Hurricanes have caused severe damage to Florida and Gulf Coast communities, and the scientific link to more frequent and powerful storms in the future is a new and troubling development. 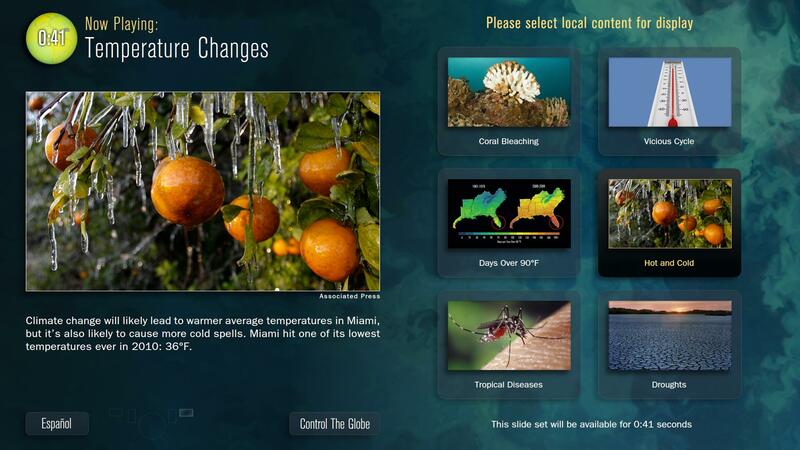 In the production of Climate Change Miami, Ideum and Miami Science Museum looked to develop a collaborative multi-user experience exploring both global and local changes in climate. 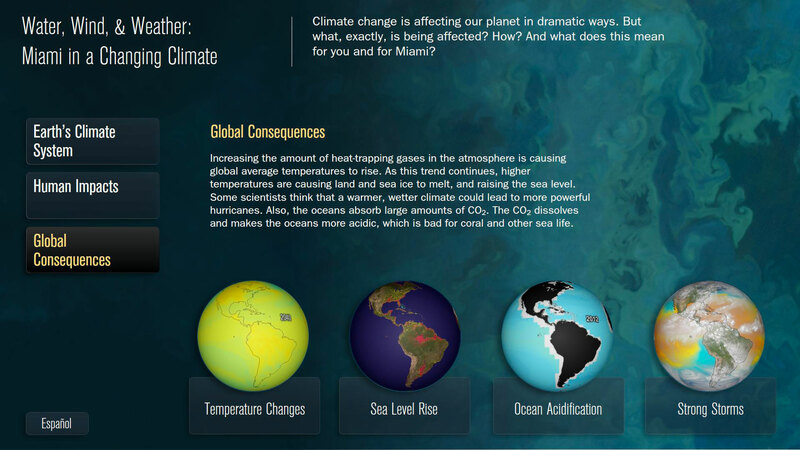 The exhibit contains both primary scientific data along with photographs and videos that help explain the science of climate change. 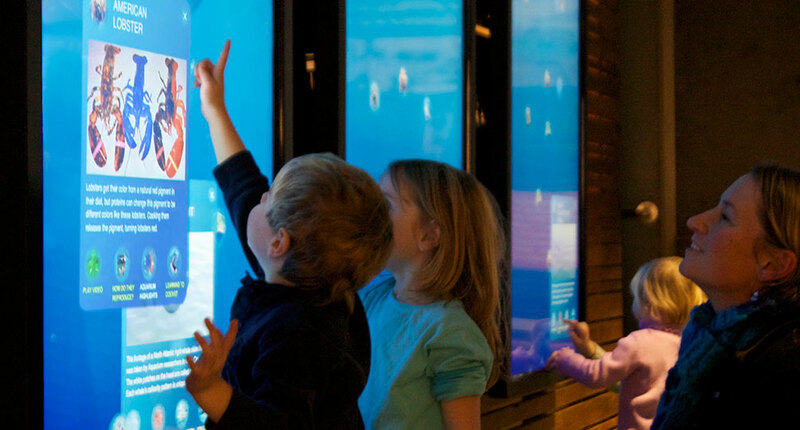 The exhibit uses a controllable 4-foot Magic Planet spherical display, four large display monitors, and three independent kiosk stations for visitor interaction. All content in the exhibit is presented in both English and Spanish. Each of the three independent kiosk stations share different roles within the system which are dependent on the status of the others. A station may control the large spherical display by choosing and directing animated globe overlays. It can rotate the sphere horizontally and vertically by dragging a smaller representation of the globe on the touchscreen. While one station is controlling the globe, the others control two additional 32” horizontal monitors. 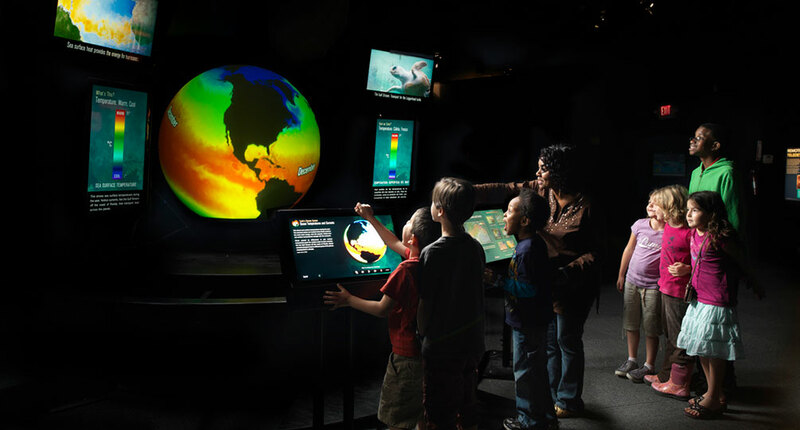 These displays provide supplemental information on the subject of the chosen globe overlay using text, image, and video projections. The remaining two 32” monitors are installed vertically next to the sphere. These vertical displays provide key information about the chosen globe images. Ideum developed the custom software and designed the interface. Global Imagination developed the Magic Planet spherical display. The project was funded through a grant from the National Oceanic and Atmospheric Administration (NOAA). Ideum worked closely with the Miami Science Museum to help write the grant. 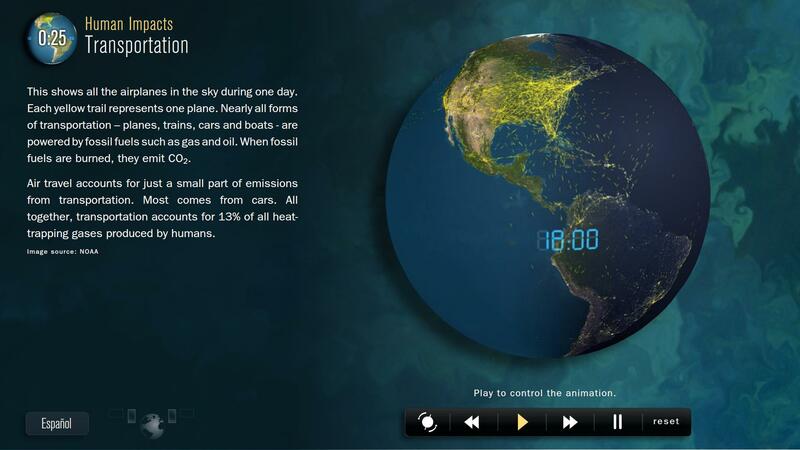 Animations depict various sources of greenhouse gases. 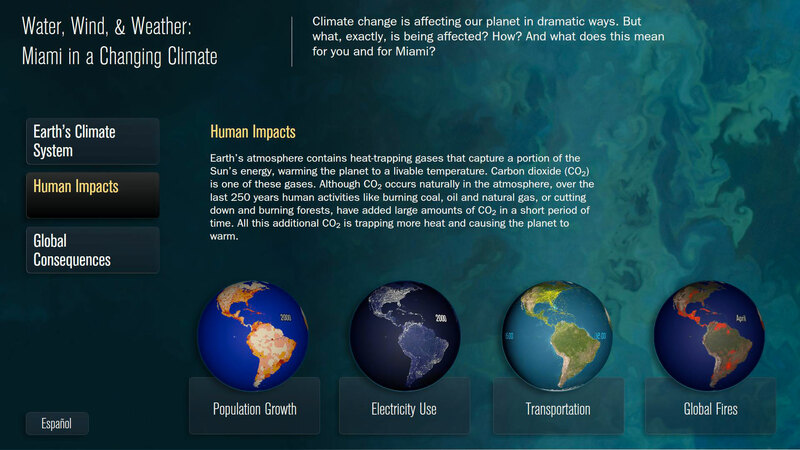 The exhibit outlines effects of climate change around the world. 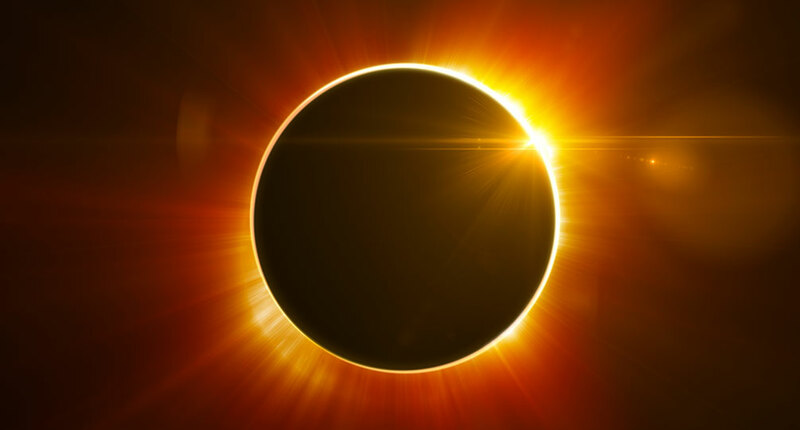 Implications for human activity are also described.